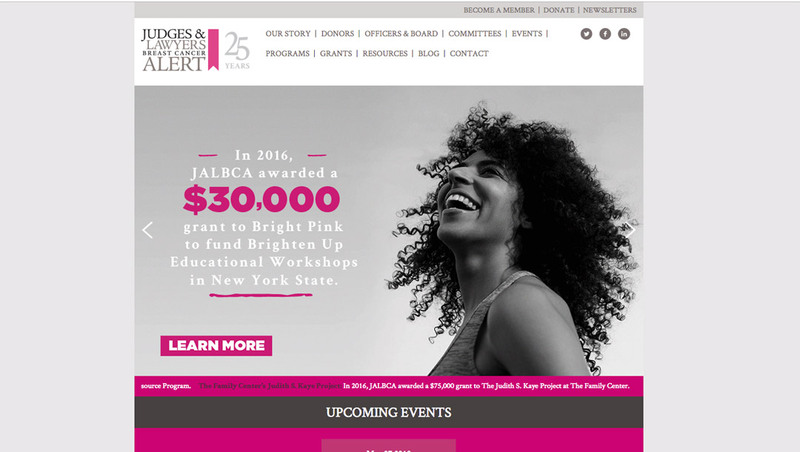 The Judges And Lawyers Breast Cancer Alert educates members of the profession and harnesses legal experts to promote medical, social and legal services to those in need. The organization decided it was time to re-vamp their brand. We delivered a new logo, website and some rockin’ content to captivate their audience. The end result is a more robust and appealing website for their target market that is easy to navigate and maintain.